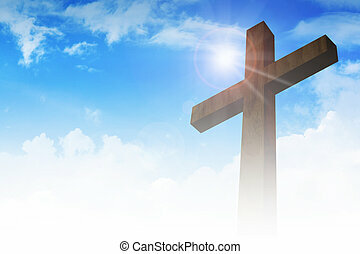 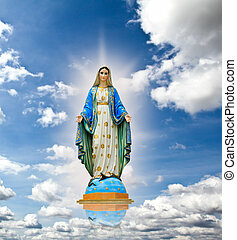 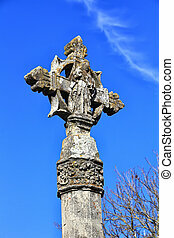 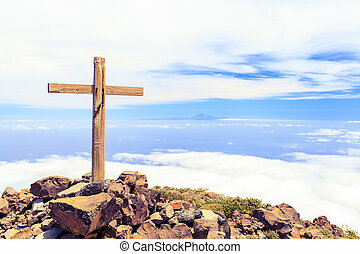 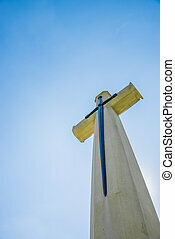 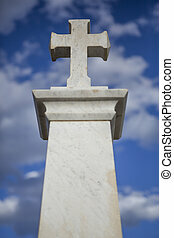 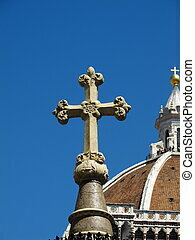 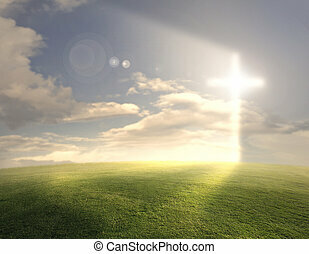 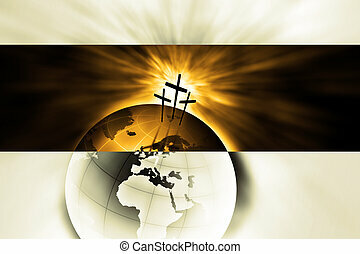 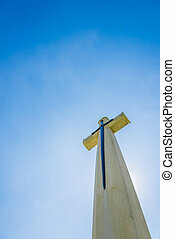 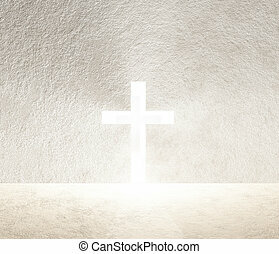 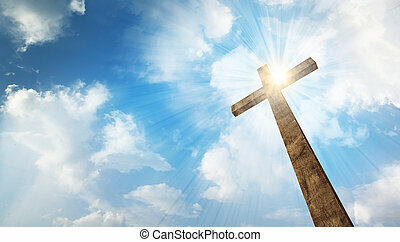 Christian cross with sky background. 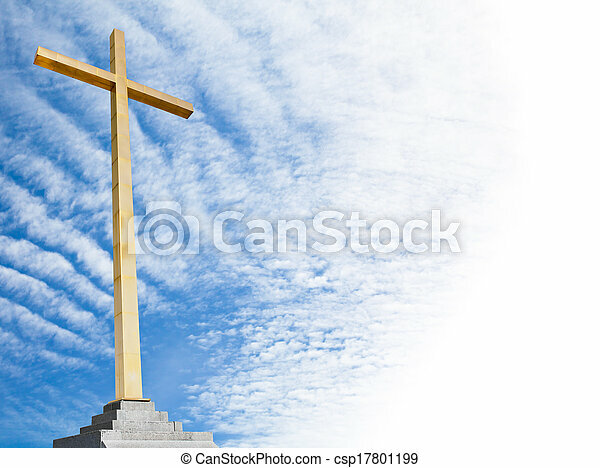 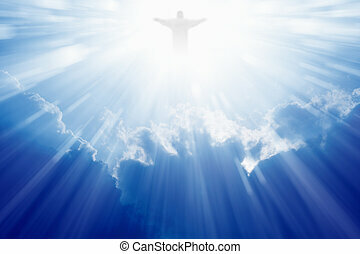 religion template. 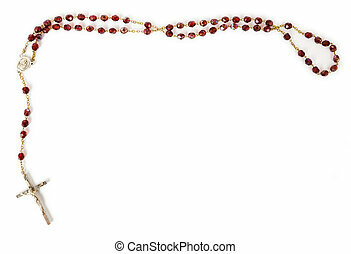 Woman\'s hands palm up cradling rosary with crucifix.